Construction workers, road workers, and other trades require workers to work long days, often far from home, and they need a temporary place to stay. Serious campers and hikers sometimes need shelter in remote areas. When you attach a tent to your Jeep, it becomes the ultimate mobile home. 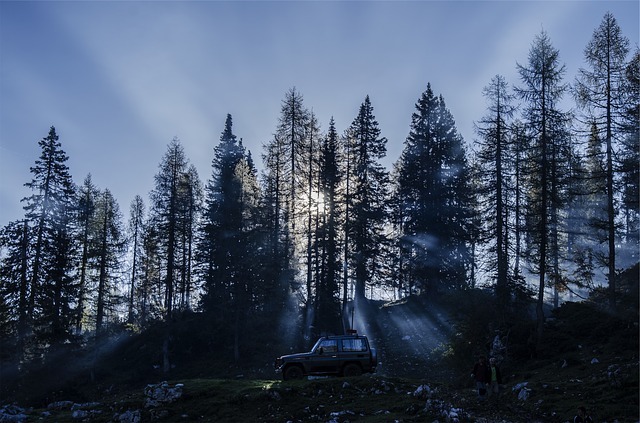 Using Jeep tents, camp sets up and breaks down in short order, leaving nature untouched. There are a number of Jeep tent styles, including ones that straddle the roof or section off the back. You can also get an awning that extends from the back of your vehicle. Depending on need and utility, there’s a Jeep tent out there for everyone. After a tiring day of rock climbing, hiking, swimming, fishing, or whatever activity you enjoy while camping, you want to be able to kick back and relax a bit at the campsite. It’s great to know that you can unzip the tent and plop down on a cot or comfortable mattress and catch a nap. Once your tent is set up and your camping gear is unpacked, you’re pretty much set for a few days or however long you plan to stay. When you really only need a place to sleep and eat, it’s a little more work than you need to do. That’s the time that you want a camp set-up that goes up quickly and takes down even quicker. A Jeep tent is ideal for such a purpose. One of the benefits of a Jeep tent is that you don’t even need a campsite. You can park your Jeep almost anywhere, even in remote areas, and set up camp for the night. You can store your camp gear safely in the Jeep tent and sleep outside, or sleep in the tent. After a good night’s sleep, take it down in minutes, pack up your gear and you’ll be on your way. Another great benefit is that it’s less expensive than a motel. Fortunately, there are also other vehicles that tents are made of such as trucks. If you're interested check out this set of reviews from Rob to get the best one. Alternatively, if you have a sports utility vehicle (SUV) check out these SUV tent reviews. Attach this Jeep tent to the top and side of your Jeep with the sleeve. Climb the ladder to sleep on top of your vehicle or drop an air mattress on the ground inside the end tent-space. Make sure that your roof rack will support your weight. If it does, this tent works great! This Jeep tent is more expensive that most, but campers love it for its heavy-duty fabric. It’s easy enough to set up, but the weight of it makes it a two-person job. It unfolds with bedding in place, so it’s a timesaver in getting beds set up. The top is made of waterproof polyurethane, so it keeps you nice and dry at night. In addition to the benefit of being attached to your Jeep, this tent gives you all the space and ventilation of a freestanding tent. It fits 2008-2012 Jeep Compass, Grand Cherokee, Patriot, Wrangler, and Liberty. It has two doors and three large mesh windows and gives you 10’ x 10’ of space. It has a 7’ x 6’ attached, floorless screen tent. You also have the option of using it as a freestanding tent if you wish. This is a nice awning that extends from your spare tire, up to 37”, and covers 10’ x 6 feet, giving you plenty of shade. It’s made of a lightweight material and has nylon shock-coded cords and stakes. It comes in a PALS style backpack. You can take it hiking with you and attach it to a tree or any other vertical support. It sets up quickly and can be taken down just as quickly. Connect this tent up to the back of your Jeep and sleep up off the ground, inside your vehicle. It has large mesh windows and the doors have storm covers that zip shut for privacy. Store your camping gear in two interior pockets. You’ll be able to see the zippers at night because they glow in the dark. It’s a versatile tent that allows you to slip off the sleeve to detach the tent so you can take the vehicle out to run an errand. When exploring your options for a Jeep tent, consider how you will use it. There are plenty of options for tents that attach to a Jeep that just provide sleeping space. Other Jeep tents have an attached screen room. There are also options for attached awnings for those who just need some cover from the sun.